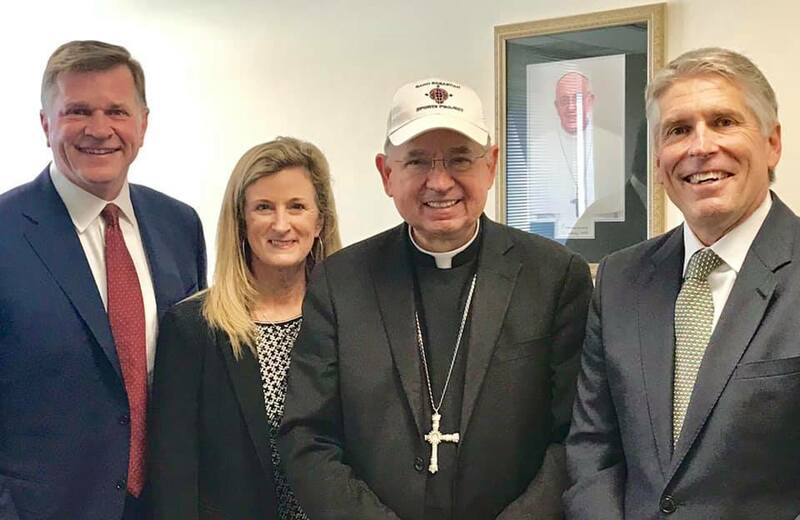 Archbishop Jose Gomez sports a Saint Sebastian Sports Project ball cap at a recent meeting to update him on our accomplishments of the past year. The Saint Sebastian Sports Project would like to thank Skechers for generously donating hundreds of backpacks, clothing, shoes, socks and other new items for the schools that we serve. Our 46 schools were able to “shop” at American Martyrs O”Donnell Hall on 3/14 – you can see the smiles on the students with their new gear! 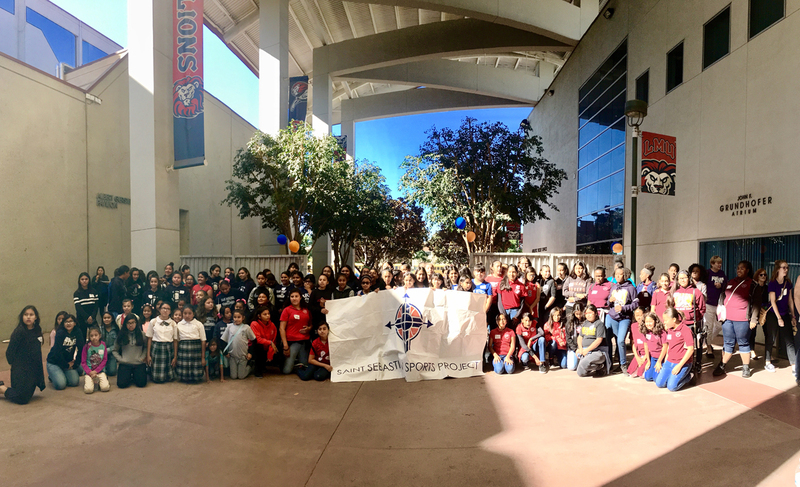 On 11/4/17 SSSP hosted 150 students for a fun filled campus tour and lunch, followed by the woman’s volleyball team win and opportunity to meet the players. The kids had a blast and improved so much during the week! We are so proud of the Inaugural Leadership Academy honoring one 8th grade boy and girl from each of the 42 schools we serve for a day filled new friends and tools for a successful transition to high school. 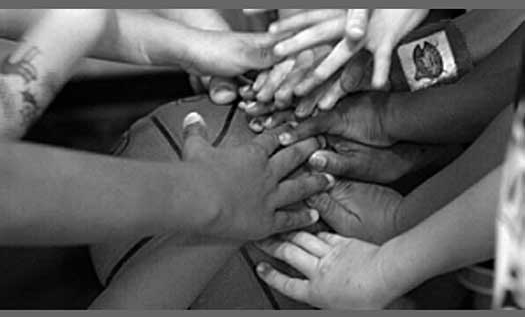 We are so proud of these outstanding 8th grade student athletes and look forward to watching them continue to play sports and lead as they transition to high school. 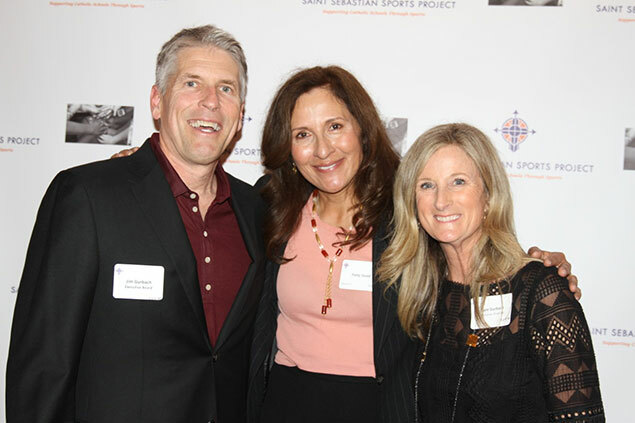 The Saint Sebastian Sports Project is proud to announce that Patty Dodd is the 2017 recipient of the Karen Beebe Arrow Award. We would also like to thank our Mulligan underwriters: Donnelly Financial, Wedgwood, and Deloitte for their support of the 9th annual Mulligan!